Eliminating PMI - Mortgage Experts, Inc.
Shopping for a mortgage loan? We'd be thrilled to talk about our many mortgage solutions! Give us a call today at 503-690-3088. Want to get started? Apply Now. For loans closed since July 1999, lenders are required (by federal law) to automatically cancel Private Mortgage Insurance (PMI) when the balance of the loan goes under 78 percent of the purchase amount - but not when the borrower achieves 22 percent equity. (There are some loans that are excluded -like some loans considered 'high risk'.) But if your equity rises to 20% (no matter what the original purchase price was), you are able to cancel PMI (for a loan closed after July 1999). Review your loan statements often. 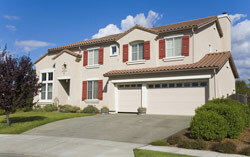 You'll want to keep track of the the purchase prices of the houses that are selling around you. Unfortunately, if yours is a new mortgage loan - five years or fewer, you probably haven't begun to pay much of the principal: you have been paying mostly interest. You can begin the process of PMI cancellation when you're sure your equity reaches 20%. You will need to call the mortgage lender to alert them that you wish to cancel PMI payments. Next, you will be required to verify that you are eligible to cancel. A state certified appraisal using the appropriate form (URAR-1004 - Uniform Residential Appraisal Report) will be all the proof you need - and most lending institutions require one before they agree to cancel PMI. Mortgage Experts, Inc. can help find out if you can eliminate your PMI. Give us a call at 503-690-3088.